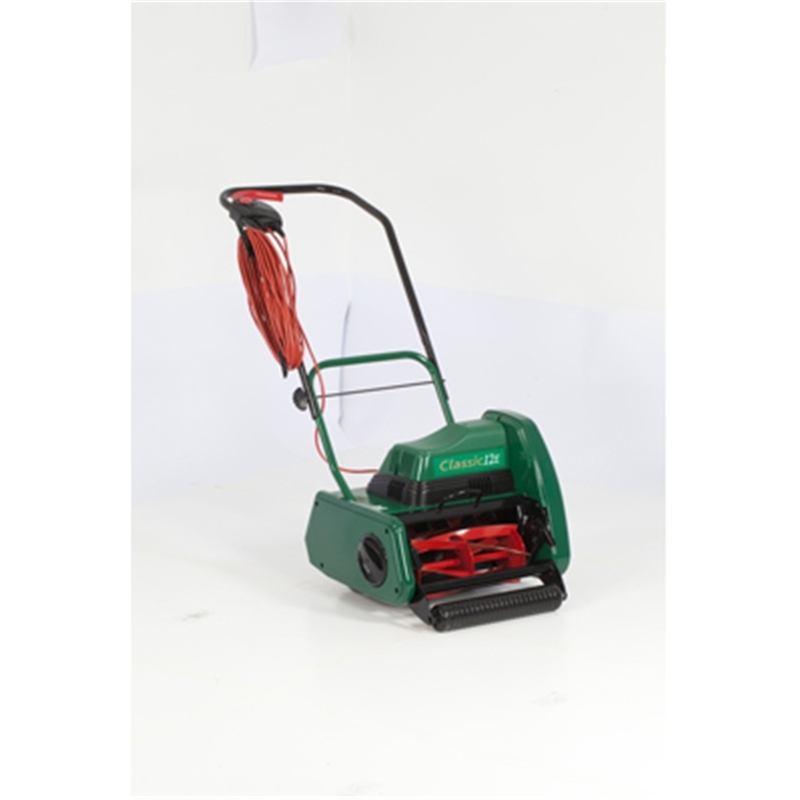 The Classic 12EPLUS push mower provides a 12in (305mm) cut produced by a five-bladed cutting cylinder delivering variable cuts per metre. Powered by a newly upgraded 420w motor, it has five pre-set cutting heights ranging from 0.4in to 1.3in (9mm-32mm). For additional lawn care, an optional powered scarifier cartridge head can be fitted easily in place of the mower's standard cutting unit. Cutting Width:: 30cm / 12"